Obviously, Trump didn’t mean ISIS has completely abandoned Mosul – he means the leadership had plenty of time to escape. U.S. military leaders seem to agree. “We’ve got indications that leaders have left. A lot of foreign fighters we expect will stay because they’re not gonna be able to exfiltrate as easily as some of the local fighters or the local leadership,” Major General Gary Volesky of the 101st Airborne told reporters in a Pentagon briefing from Baghdad on Wednesday. 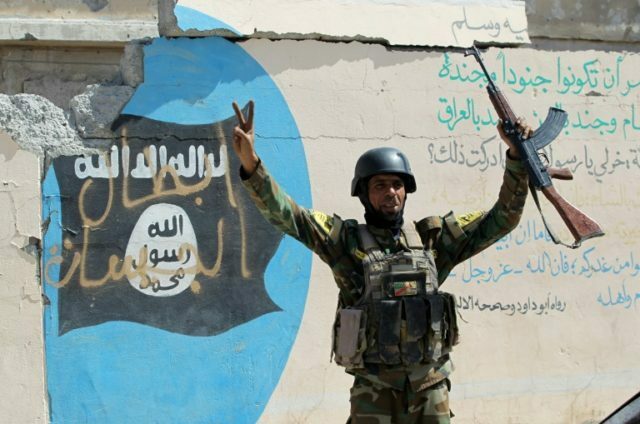 Volesky said this is similar to what ISIS leadership has done in other cities, such as Ramadi and Fallujah – a fact the U.S. is reminding Islamic State jihadis of, to weaken their morale. “We’re telling Daesh that their leaders are abandoning them. We’ve seen the movement out of Mosul. Where they are going, I will leave that to our targeteers,” he said. As for the big prize, ISIS “caliph” Abu Bakr al-Baghdadi, Volesky said it was not clear if he was in Mosul. A Kurdish official told the UK Express on Wednesday that the Kurds believe Baghdadi is still holed up somewhere in the city.